After a vacation through the south of Spain, I found myself in Amsterdam with a few days to kill before going home. With nothing but time and a strong affinity for cannabis, what better place for a pot connoisseur like myself to end up? 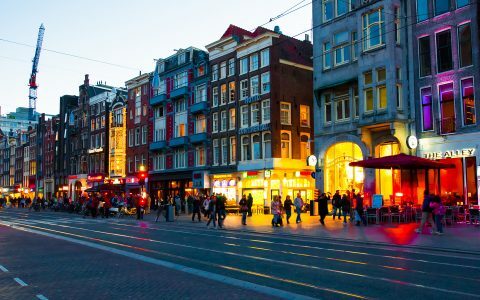 A trip to Amsterdam is a fundamental experience for anyone who loves cannabis. 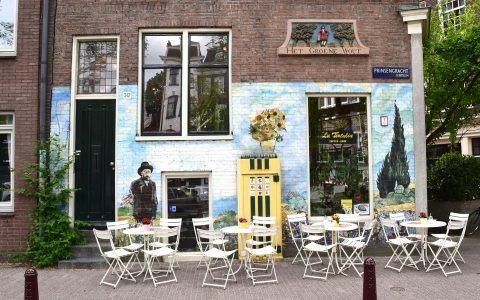 Before safe, legal access to cannabis became a reality in North America, the Netherlands was the destination for travelers looking to comfortably enjoy it in a culture that embraces it. 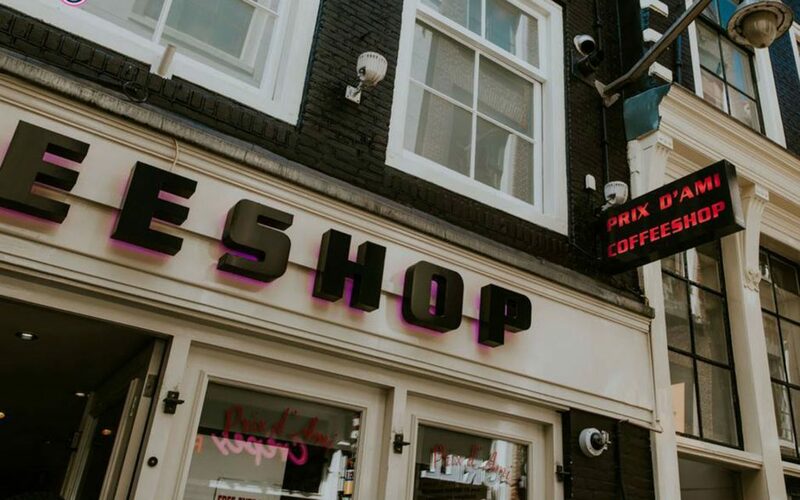 While the global cannabis landscape is quickly evolving and it’s becoming more accessible than ever, an adventure through the coffeeshops of Amsterdam is still a rite of passage that can teach so much about the history and culture of modern cannabis. Additionally, Amsterdam is a fantastic city full of art, history, entertainment, and much more. Before we go any further, let me clarify that while I do have high standards when it comes to cannabis, I don’t think that my tastes are superior to anyone else’s. The tastes I have developed come from years of experience buying and consuming cannabis and are mostly centered around the overall flavor and experience that each strain has to offer. 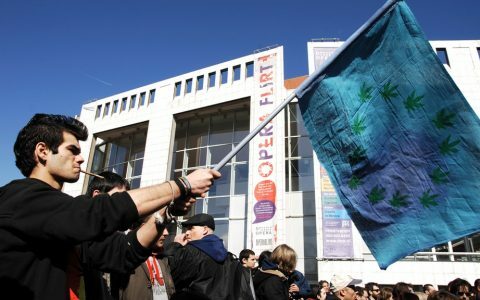 Weed isn’t hard to come by in Amsterdam, but if you’re looking for robust, terpene-rich hybrids or bargain deals like you’re used to at shops in the States, keep in mind that things are a little different. So, here are a few tips for exploring coffeeshops throughout the city. Don’t smoke in public. Go to the coffeeshops. 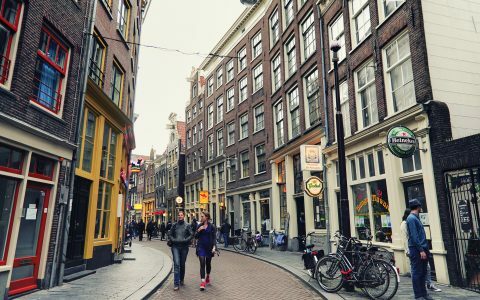 The beauty of a place like Amsterdam is the number of welcoming, comfortable places to smoke a joint. No sense in pushing the boundaries of respect in public; just pop into one of the many coffeeshops in the city. 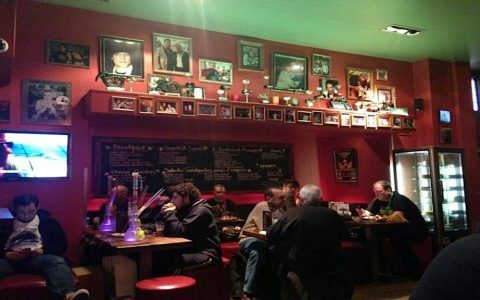 Occasionally you can find bars, restaurants, and other establishments that are cannabis-friendly too. The coffeeshops are better on weekdays. During the week, you’ll enjoy less crowds and more of the everyday culture of coffeeshops. Like any major city, things pick up on the weekend when tourists come to town and coffeeshops tend to fill up. This is especially true during special events at well-known locations. Plan ahead if you’re visiting for the weekend. Always buy something at the coffeeshop. When hanging out, most places prefer if you buy something to eat or drink while you are taking up table space. Obviously weed is the easy choice, but there are lots of affordable drinks and cheap munchies. Some places even have full kitchens with a menu of options aimed to satisfy the stoner in all of us. Ask questions about the cannabis you’re buying. 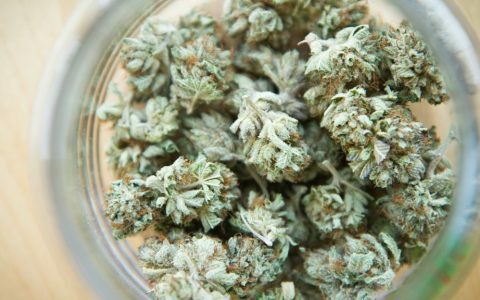 Budtenders know their selections well and can make a solid recommendation. But what you like at home might not be what you like in Amsterdam. For better or worse, they love the indica/sativa classification and are used to talking to uniformed tourists. 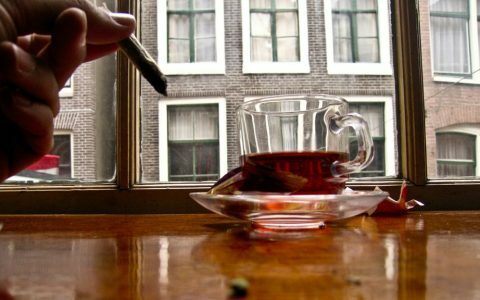 If you’re a pot connoisseur like me, understand that the Dutch have their own standards that differ from the North American cannabis industry. Their cannabis is still good and what they are telling you isn’t necessarily wrong—it’s just a different perspective. Domestic varieties are more common. 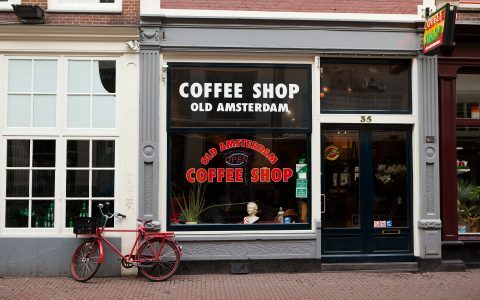 Classic Dutch strains and those popularized in coffeeshops throughout the ’90s are most common. Strains like Jack Herer, Cheese, and AK-47 are the norm and sell for reasonable prices between €8-15 a gram, or $9-18. The more complex hybrids featuring trendy genetics like Cookies, Gelato, and Zkittlez fetch a much higher price tag, upwards of €35 a gram ($40). It’s interesting to see the Dutch get excited about modern American genetics the way Americans used to with strains from Amsterdam. Skip the bongs and pre-rolls. The bongs available at most coffeeshops are pretty whack, and remind me of every silly bong ever featured in a movie. They’re cheap, don’t function well, and usually come with an annoying metal screen and thumb carb. Don’t waste your time. Some places offer Volcanoes and other inventive vaporizers—those are better options. Same goes with pre-rolls. You’re better off buying a gram you like and rolling your own. Remember, the Dutch have a different definition of how to roll cannabis, usually rolling tobacco with hash or flower, instead of straight green like we see in the States. The Dutch are extremely friendly and helpful. In my experience they are excited to help and show you how to enjoy their culture. It doesn’t hurt that a lot of people speak English, too. 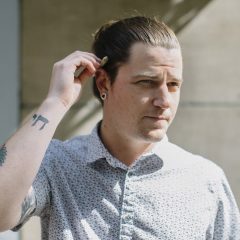 Many tourists who visit are there for the same reason you are, and I’ve always found it easy to strike up a conversation or share a joint with strangers at a coffeeshop. 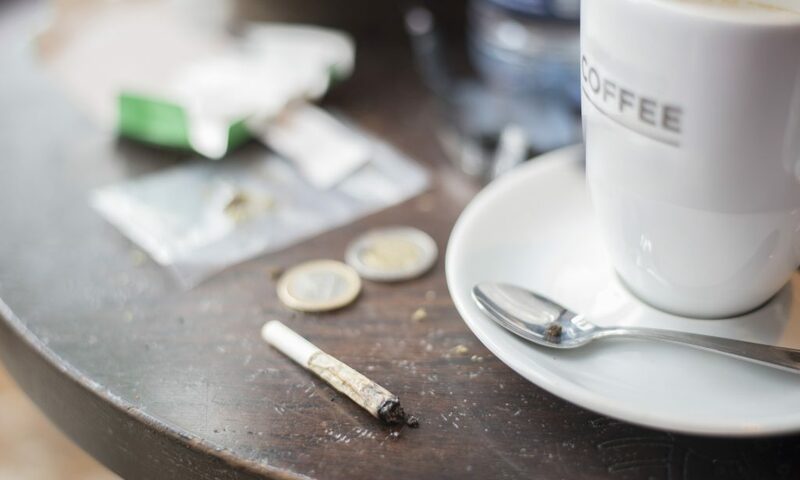 Now that you’ve got an idea of cannabis etiquette in Amsterdam, let me share a few of my favorite coffeeshops. With four locations throughout the city, it’s easy to stumble across a Barney’s. If you’re looking to buy cannabis and not just hang out, make sure you go to the right location. Barney’s Uptown location doesn’t sell cannabis, but it’s right across the street from Barney’s Coffeeshop which does. 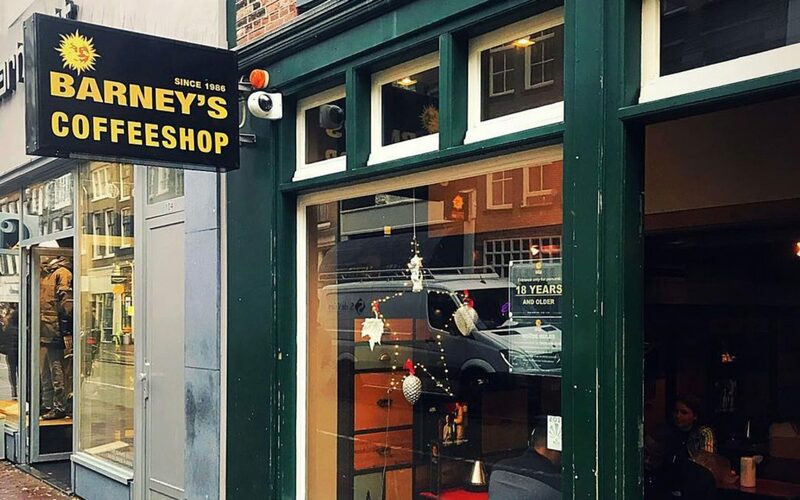 Visit Barney’s for its friendly, smart staff and Cannabis Cup-winning strains. Visit Barney’s for its friendly, smart staff and Cannabis Cup-winning strains. While there, enjoy some food—Barney’s is one place where you can actually sit down and enjoy a proper meal while you smoke. Keep in mind, all Barney’s locations get busy and tables go quick. I sampled their Dr. Grinspoon and Tangerine Dream. The Grinspoon was uplifting and heady, a truly energizing strain that’s great for daytime adventures. The Tangerine Dream had a classic earthy, orange flavor and nice plump buds. I shared a table with four guys on vacation from Dublin who told me they pop over to Amsterdam on weekends to enjoy the weed. I introduced them to a vape pen, the Pax Era, and shared a few bowls in the Volcano with them. 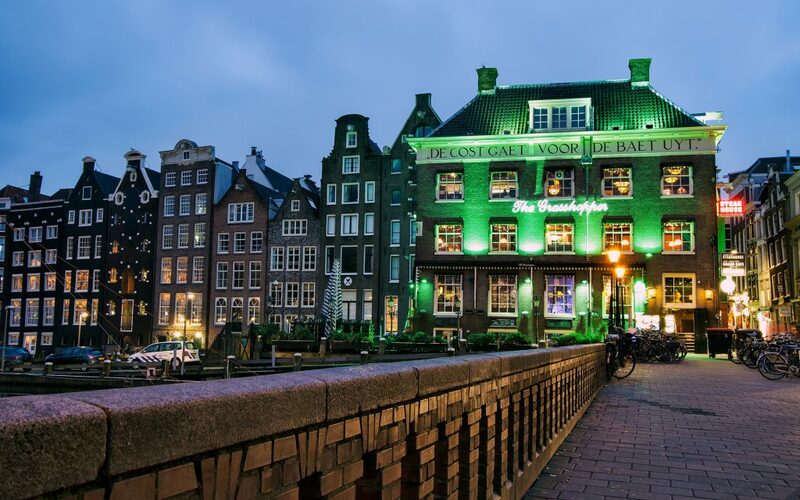 Barney’s is always a great place to start or end a day in Amsterdam. About a ten-minute train ride from the city center is Coffeeshop DNA. It’s a quaint, clean coffeeshop that is much more of a dispensary than a cafe. I went in before I had my morning coffee assuming it was DNA Genetics, the staple Amsterdam cannabis breeder. I quickly realized it wasn’t, but was pleasantly surprised by their service and selection. Their Super Lemon Haze was the first real terpy strain I came across. Its classic lemon flavors and euphoric rush helped me forget I hadn’t had caffeine. Before leaving, I shared a joint of some earthy and calming Black Domina with a tourist from the UK and a local who shared advice on other coffeeshops to visit. On the advice of some locals, I visited Prix d’Ami, a three-story coffeeshop downtown that features a 3D movie theater, comfortable lounge, great milkshakes, and some pretty good cannabis. A newer establishment, Prix d’Ami was buzzing like a beehive. The lounge space almost forces you to mingle with other visitors, and its proximity to the city center makes it the first and last place people stop on their way to and from Amsterdam. Their menu is diverse and each strain seems to be fairly nice quality. They had some really impressive “Cali strains” like Runtz, Wedding Crasher, and some Gelato hybrids that looked incredible, but I could hardly justify shelling out €30-35 euro ($35-40) for a gram. Instead I went with their Ghost Train Haze, a happy strain with citrus flavors and a hint of gas. I played a few video games, socialized with some tourists, and watched sports on one their many TVs. Their snacks are affordable, too. 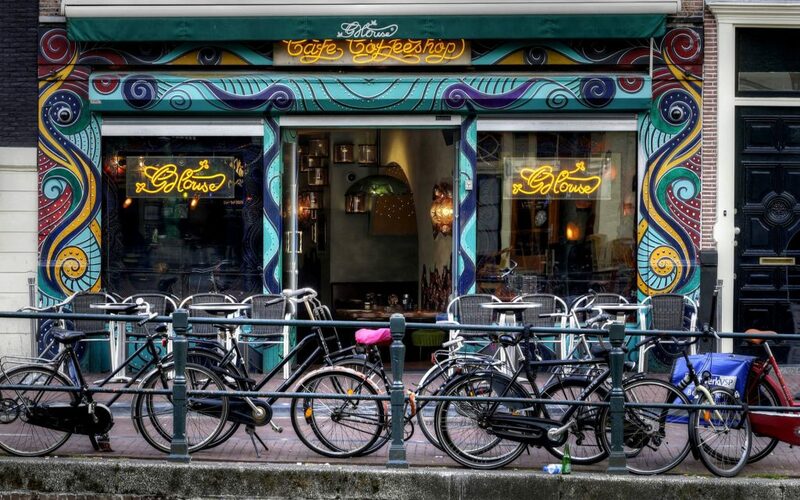 Abraxas is a coffeeshop experience you simply cannot pass up when in Amsterdam. Abraxas might be my favorite coffeeshop to duck into for a solo joint. Its atmosphere is second to none. Tucked in the narrow streets of the city center sits a three-story lounge with a whimsical vibe. Knotted tree branches tangle together with other natural décor that makes it feel like you’ve landed in Middle Earth. Abraxas might be my favorite coffeeshop to duck into for a solo joint. Its atmosphere is second to none. 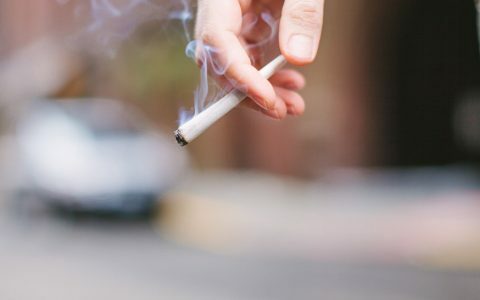 The staff is so friendly you’ll want to offer them your joint every time they check in on you. It’s like visiting your hippie friend’s house, except they spend the whole time making sure you’re comfortable and content. The moment I stepped inside, the budtender smiled and welcomed me. His eyes lit up and his grin grew wide when I asked which strain was his favorite. He showed me some authentic Cheese which had that deep, funky parmesan aroma unique to the strain. I dropped the €14 for a gram without any further questions. It was the best Cheese I’ve seen in the last decade. I enjoyed a joint over a coke and sparked a conversation with a group of tourists celebrating a birthday. They had split a couple of space cakes and were in that anxious phase in between eating an edible and feeling its effects. Hilarity ensued as we swapped stories and I shared my Cheese with them. Green House is another legendary coffeeshop with a history of breeding Cannabis Cup-winning strains. With four locations around town, there’s likely one nearby. My favorite is Green House United—it’s a short walk from Amsterdam Central train station and is easy to find. Good food, diverse strains, and a friendly staff make it a welcome stop anytime. Green House is a comfortable place to kill a few hours, which is exactly what I did to duck out of the rain. I ordered food and selected a few strains from their cannabis bar while I waited. I ended up with Jack Herer, which had classic spice and earthy flavors and a soaring high that leveled off nicely as I settled in. Just what I needed before the long flight back home across the pond.